The must-dos, must-sees and absolute must-eats. Big-time openings. Big-time closings. Chefs and bartenders playing musical chairs. Keeping track of all the movement in Perth restaurant and bar circles is hard enough as a local, but to try and get your head around it as a visitor? Thankfully, we’ve done the legwork for you and distilled the year that was into our version of I Know What You’re Going To Do (and Eat) This Summer. In addition to the new players that matter, we’ve also included our favourites that continue to deliver. Here’s to your best ever West Australian getaway. Shuttered fine diner Restaurant Amuse might be a bittersweet memory for many Perth eaters, but chef Hadleigh Troy’s exacting cooking is alive and well at Vic Park cafe Hampton & Maley. The view of a Causeway bus stop mightn’t be worth writing home about, but polished brunch dishes in the vein of sweet crab omelettes and a pulled-pork roll deserve celebrating. A snappily priced kids menu is also available. Although Mary Street Bakery opened additional CBD branches over the year, its Allendale Square and QV1 outposts are closed between Christmas and early January. Visitors in town for the long break craving the bakery’s bread, fried chicken waffles or doughnuts will have to set course for either the West Leederville branch or the original on the corner of Mary and Beaufort streets. Is there anything more comforting than pasta at lunch? Although Lulu La Delizia remains the city's - and perhaps country's - pasta bar to beat, the options for places to twirl your fork are many. While many flock to Northbridge’s Wines of While to pop bottles with friends after dark, the game-changing wine bar is also an ideal lunch time option. Owner Sam Winfield’s pasta game has been strong since day one, but following the arrival of a new fresh pasta-extruding machine – hello, deeply grooved tortiglioni! – he’s taken things to another level. If you’d rather be closer to the water, consider Canteen Pizza at Cottesloe Beach for pliable woodfired pies and lo-fi wines, or Island Market for views of Trigg Beach and veteran chef David Coomer’s woodfired Middle Eastern-influenced cooking. In the city, Lalla Rookh – in particular, its cosy wine store – is an ideal address for a post-sales, carbohydrate-rich pick-me-up. Whether you go pizza or pasta, quiz the crew about what exciting new cuvee you should be drinking. If you’re coming back from the coast, the all-day menu at neighbourhood bar Billie H makes a fine pit stop. 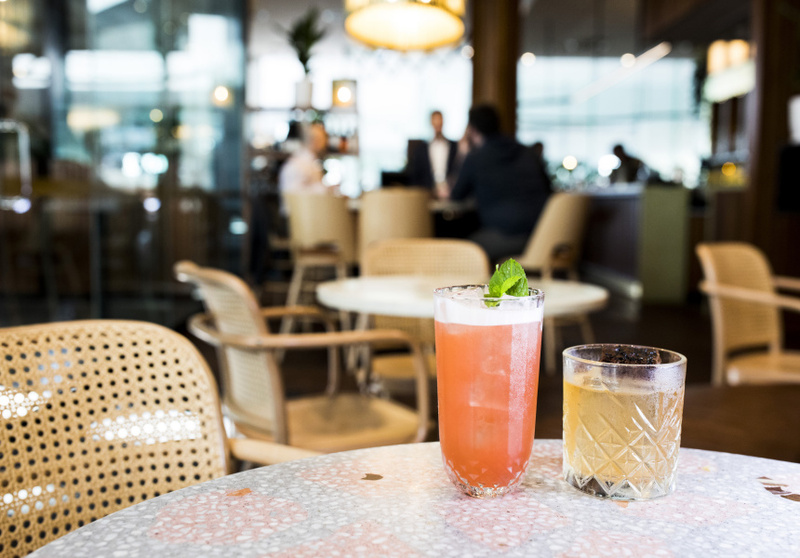 Garum – Melbourne chef Guy Grossi’s Roman-inspired restaurant at the new Westin Perth – was one of the most hyped openings of the year, but thankfully, it was on the mark. If the dining room is full, try the bar for a brief edit of the main carte and couple of dishes exclusive to the bar. Keeping in the Italian theme, self-described nuovo Italo-Australian stronghold Si Paradiso gets it right with superb high-walled pizza, fun vibes and a weekend-only crystal king crab special: the city’s biggest dining special. Although Tiny’s isn’t as specific – or Italianate – in focus, its freewheeling repertoire of wood-grilled winners is no less gratifying (its excellent rotisserie chicken is a study in comfort dining). There’s been plenty of movement in the late-night market this year, not least the opening of Yes Please Perth. 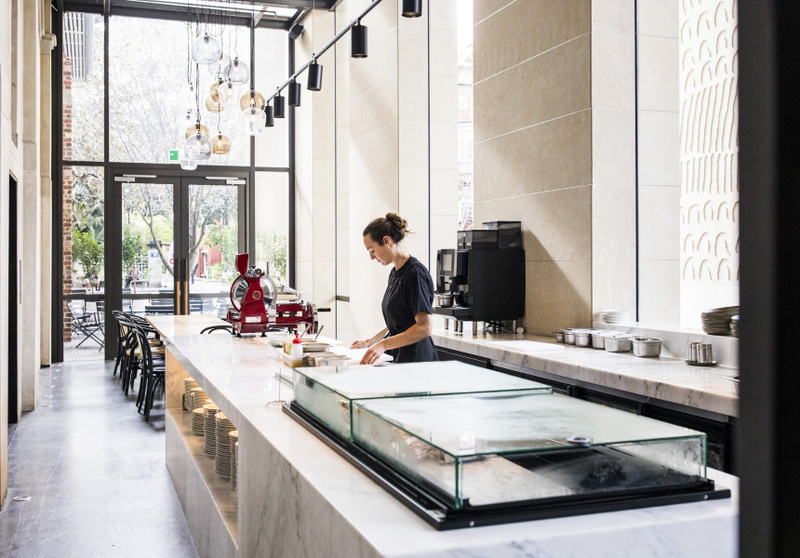 Another restaurant-bar hybrid, the kitchen – and coffee machine! – at this Northbridge diner stays open till 2am every morning of the week. Wise heads know that the fried chicken and hamburgers at late-night dive bar Alabama Song are a fine way to take the edge off the morning after; just watch for the bar’s considerable brown-spirit stockpile. Not quite ready to call time on the night? 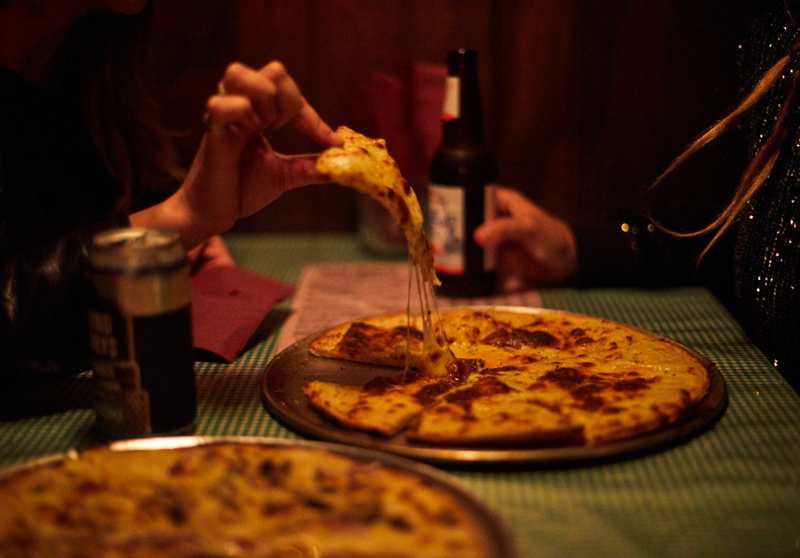 On weekends, head to music den Lucy’s Love Shack for rock and crisp, biscuitty pizzas with toppings dreamed up by the crew from local funsters RoyAl’s Chicken and Burgers. Seaside Italian cantina Il Lido might reside at Perth’s most famous beach, but its Cottesloe address is just part of its charm, not its be-all. In the morning, loyalists drop in for post-swim brekkie while lunch through to dinner is all about Italian comfort supplemented by a mighty wine selection. Hawker food is something Perth does really well. One of the city’s most revered names is Tak Chee House. Its chicken rice is frequently name-checked as one of the city’s best. The continental rolls at The Re Store are perhaps the closest Perth gets to a sandwich of its own. A jaw-testing assembly of cold cuts, salad and pickled veg crammed into a crunchy bun, it’s a meal-for-one to be reckoned with. It’s hot, you smashed that 10,000 steps target hours ago: go direct to Petition Beer Corner and take aim at this specialist beer bar’s wondrous inventory of brewed deliciousness. Alternatively, Spanish surf-rock themed Los Bravos is another excellent PM option, not least because its outdoor bar seats offer people watching options galore. There’s a strong Iberian bent to the drink offering, which features sherry, Spanish vino and on-theme cocktails. 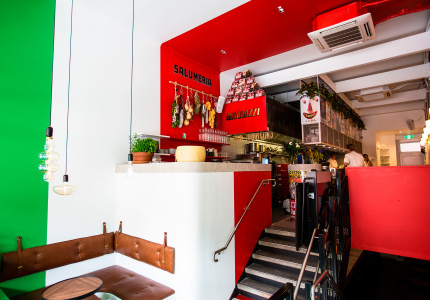 From Los Bravos, it’s an easy stroll to two of William Street’s favourite food-slinging wine bars. Shadow Wine Bar, the in-house restaurant attached to the hip, ACE Hotel-inspired Alex Hotel, takes a broadly European approach to feeding and watering guests. The wine list runs from the classics to the renegade and the dramatically lit, date-night-ready room transitions from drinks to dinner at the drop of a tomato and anchovy toast. Further along William Street, Southern Italian wine (plus their local doppelgangers), Australian-inflected cocktails and Italiano snacks are No Mafia’s calling cards. In a basement beneath Hibernian Place, Goody Two’s serves Japanese whisky late into the night (with a side of disco tunes for those looking to boogie). The bar also does a fine line in Japanese bar snacks including juicy skewers of chicken, beef and pork. For not-so-relaxing-times, wild rock and roll dive bar Joe’s Juice Joint continues to attract the late-night set with its rough and tumble yet friendly ways. Come for the deep whisky and beer focus: stay to play rock-themed pinball machines. Laika: Nothing speaks loudest to Perth’s rising coffee culture than the developments in suburbia. Named after the Soviet space dog, Laika brings contemporary coffee smarts to a former washing-machine workshop in Lathlain. Worth the detour. 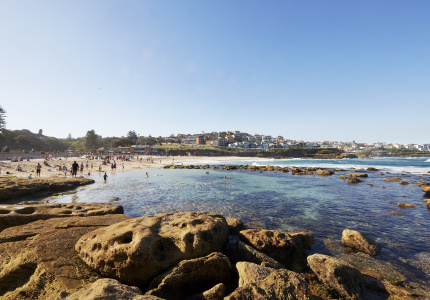 Little Bay: This coastal cafe might have just opened but it’s been packed since day dot. An address on West Coast Drive near the water can’t hurt, but neither does a strong coffee focus and a menu of gently tweaked cafe classics. 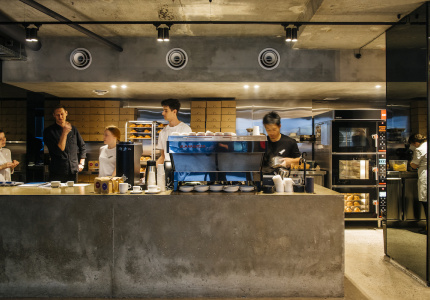 La Veen Coffee: Architecture fans will want to visit this CBD cafe solely for the Heritage-listed building it’s housed in. Once you’re done cooing and pointing, great coffee and clued-up baristas await. The star tenant of the Perth Cultural Centre, the Art Gallery of Western Australia, is a worthy destination year-round. Running till mid January, Beyond Bling explores the changing world of jewellery while the gallery’s permanent collection boasts famous Australian pieces including Frederick McCubbin’s iconic Down On His Luck. Catching a screening as part of The Lotterywest Films Festival is an essential Perth summer experience, not least because sessions are held at outdoor amphitheatres. Perth Fringe Festival (January 18 to February 17) is another major event on the arts calendar. 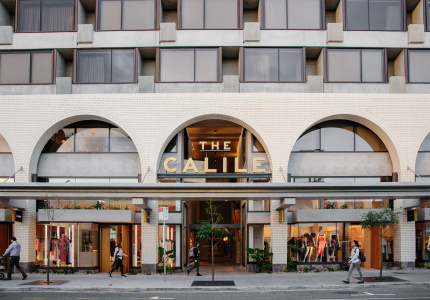 Although King Street remains the city’s best destination for high-end fashion, a wander along William Street in Northbridge reveals plenty of emerging talent: look out for boutiques like Ruck Rover, Periscope and Merge. While you’re there, music lovers will have a field day at local record stores, Safari’s Record Shack and Noise Pollution Records.